With the rise of the IoT technology over the past years, there is a rise in new-gen startups reshaping the agriculture in small but meaningful ways. Makers Boot Camp’s team is delighted to share a success story of our portfolio case Kakaxi, ag-tech startup that carries the most potential. Have you ever wondered where an iceberg lettuce in your salad came from? In fact, we know so little about where and how our food is grown and, most importantly, who is behind the story. Average shopper is seldom aware of how hard farmers work to fill their shopping cart with nutritious food. Easy, grab-and-go supermarket culture sacrifices process transparency to convenience. With a farm-to-table movement in USA gaining popularity among conscious shoppers, the way we choose food has been slowly changing. A close link between farmers and consumers adds a completely new dimension to eating, and brings a sense of appreciation for the food we consume. When we can actually see who supplies our coffee beans and how many kilometers our lettuce travelled from paddock to the grocery store, we can start considering how to contribute to a more sustainable farming. Moreover, a process of transparency increases confidence in a food safety, ensuring everyone, as an example, if no GMOs have been added. Label Insight study reveals that 73 percent of customers agree to pay more for a product that offers complete transparency in all attributes. While 56 percent will trust a brand more if it provides an additional product information about how food is produced, handled or sourced. These days, innovative startups are bringing consumer-friendly technologies to many parts of the food chain while fostering ties between farmers and end users. A social network platform Kakaxi is one of the technological concepts that is reconnecting both parties in a more impactful way. After 2011 earthquake and tsunami devastated Japan, its CEO Taizo Otsuka decided to help farmers quickly recover from the extensive damage to the crops. Being an experienced entrepreneur who has helped to launch 15 companies and 2 non-profit organizations, from biotech company to professional basketball team, he saw IoT as a great solution to improve crops’ efficiency and empower farming communities. By leveraging farmers’ experience with data science, Taizo Otsuka wanted to create transparency and sustainability at the farm. 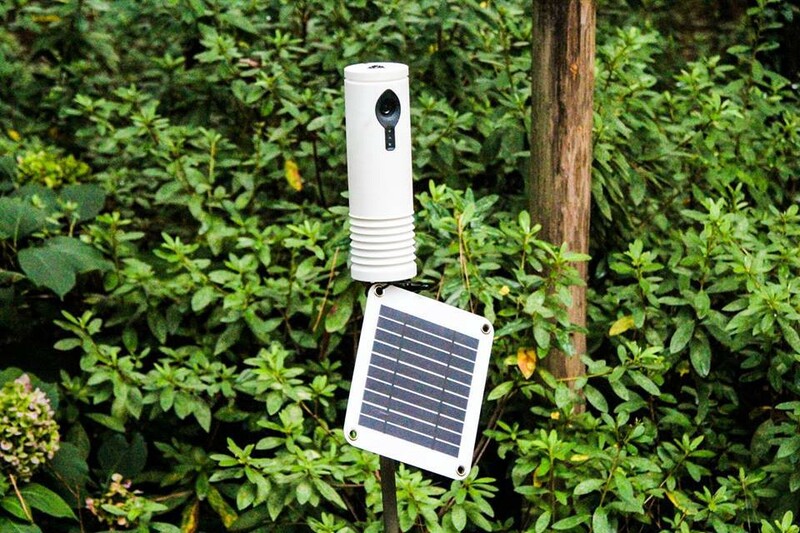 After the successful Kickstarter campaign in March 2015, a startup has developed a smart device that uses a sensor technology to deliver various on-site data to the farmers and urban consumers. It can monitor variables such as temperature, humidity and sap flow, while an onboard camera captures videos and images that anyone can view. You can check a farm’s weather conditions via smartphone. Credits: Makers Boot Camp Design intern Suzie Han. Step 1: Solar-powered device measures key weather points and takes videos and pictures of food growth. Step 2: The data is uploaded via cellular network to the secure cloud from where farmer can access it through a downloadable app. Step 3: Farmer shares data with consumers who also have the app and are curious on how their food is grown and processed. In an effort to commercialize their solution, Kakaxi has inked deals with major international food and beverage brands. In September 2017, devices has been installed on remote coffee fields in a partnership with famous coffee brand Nespresso. Since then, you can see what exactly goes into those little capsules of coffee while sipping your morning espresso. Nespresso farmers use Kakaxi video agricultural devices to monitor crops and share seed to harvest story with consumers, creating a gateway to the coffee world. While there is always room for improvement, we expect to see many more innovative solutions coming out from Kakaxi in the very near future. Surging forward in the market, they are likely to maintain successful partnerships with distributors like Whole Foods and Amazon Fresh. Farms go digital — why not, Kakaxi already has all the technology to make this possible! Are you a hardware startup aiming for a success? Please get in touch with Makers Boot Camp! We supports startups’ growth from business model to supply chain by connecting global startups to Japanese partners and supporting startup manufacturing and investment.